Learn To Set Up Your Online Store & Make The First Sale! Home»Blog»Web Development»How To Set Up Your Online Shopping Empire & Make The First Sale! Making your first ever sale is a special feeling. It marks the beginning of your own shopping empire and the chance to build a business. We’ve seen it happen. We’ve watched bedroom entrepreneurs turn their dreams into million dollar e-commerce companies. All you need is a great product and an online shop. This is a 10 minute guide to setting up an online store, finding your first customers, and turning it into a successful business. If you’re reading this page, perhaps you’ve already got a brilliant idea, but you’re not sure how to build your store. Trust us, it’s easier than you think, and we’ll show you all the secrets. For simplicity, the guide is broken down into three sections. Grab a cup of coffee and let’s get stuck in. Part 1: Where do I even start? A quick introduction to your first online store. A step-by-step guide to setting up your own website and shop. A store needs customers! We’ll show you a quick trick to make that first sale. The internet is full of cool places to sell your products. The tricky part is choosing the best route. Long-story-short, your best option is setting up your very own website, but let’s look at all the options. eBay, Etsy and Craigslist are giant platforms, and there are thousands of small boutique shops and stores located here. Yours could be one of them. The best thing about these third-party sellers is their simplicity. You can sign up and start selling in minutes. They do the hard work and set up your shop for you. They’ll handle the money and make the whole process easy. Customers are already familiar with these platforms and feel comfortable buying from them. There’s a sense of trust and security here. You’ll also find a built-in audience. Etsy, for example, has millions of customers looking for handmade crafts and personal items. If you make unique gifts and products, there are lots of customers already waiting for you. The trouble is you’ll never build an empire on someone else’s site. It’s very difficult to create a truly loyal audience and strengthen your brand identity when you’re squatting on someone else’s land! 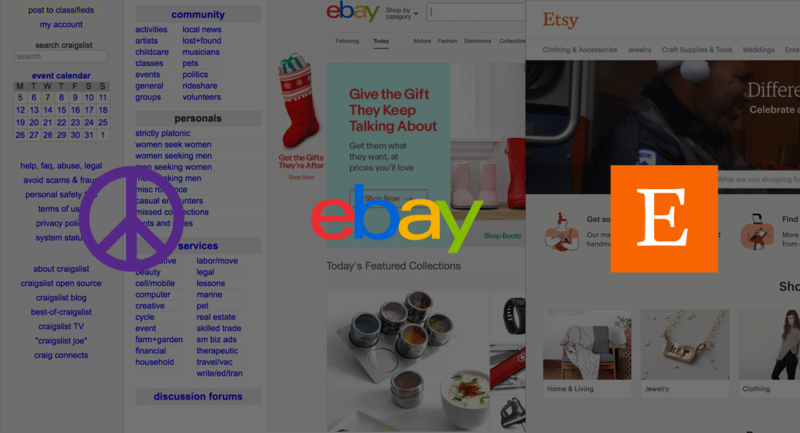 eBay, Etsy, Craigslist, and others all put their branding and identity ahead of your products. Worst of all, if the third-party decides to revoke your store, your entire business is lost for good. That’s bad news if you’re looking for a reliable, long-term income. If you want to collect email addresses, connect with your customers, and build a unique identity, you need your own space. Your own website. Another popular choice is setting up a Facebook store. 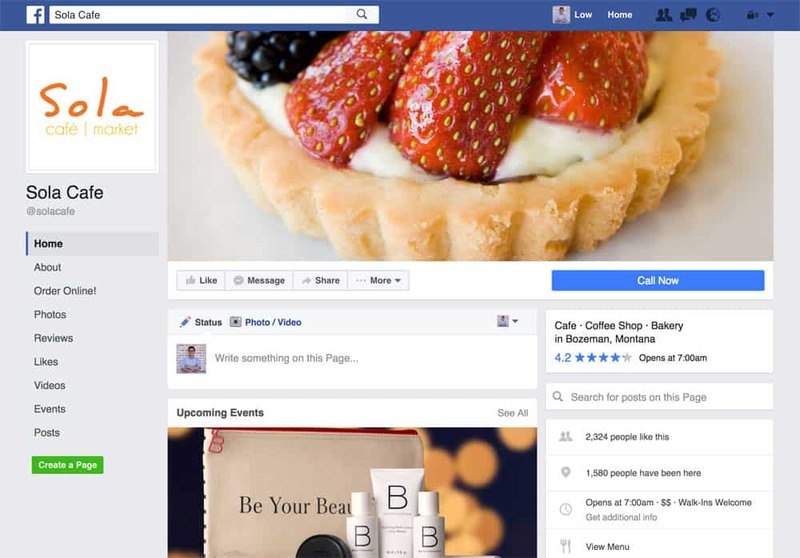 This involves using one of Facebook’s integrated plugins to host a shop on your social media page. We have mixed feelings about this method. Sure, it makes it easier than ever to sell to your social following. However, Facebook has a habit of changing their algorithms without much notice. You could spend years building your business to have it all wiped out in one swift Facebook update. Don’t get us wrong, you should absolutely build a community on Facebook. But, it’s not wise to rely on it as your sole online presence. If you’re looking for a place to call your own, you need to create your own store front. Did that just give you a little shiver of excitement? It’s easier than you think too. There are two main ways to build your store, and we’ll walk you through the process. WordPress + WooCommerce = Free online shop! If it sounds like a foreign language, take a deep breathe. Creating a website is now easier than ever. We’re going to start by using WordPress: the most popular website building platform on the planet. In fact, 24% of all the websites on the internet are powered by WordPress. So you’re in good company. You can choose pre-set designs, and tweak it to your liking. You don’t even need to know a single line of web code. But, what about the tricky payment mechanisms, products, and shipping? That’s where WooCommerce comes in. 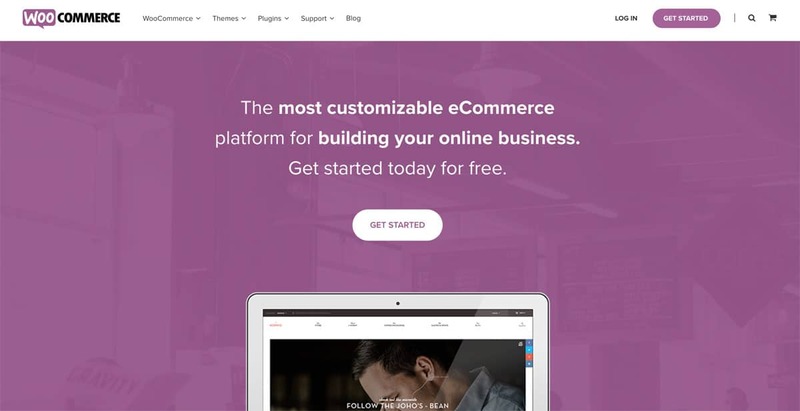 WooCommerce is the technical toolkit that makes your shop work. All you have to do is download the software, and install it on your WordPress site. It will help you create and design your storefront. It will also set up all your tricky payment systems, manage your stock and sort out your shipping. Both WordPress and WooCommerce are completely free to use but the architecture that comes with them isn’t. You’ll need a web host and a domain name, which is only a fraction of the cost. More on this in PART 2: The technical bit. 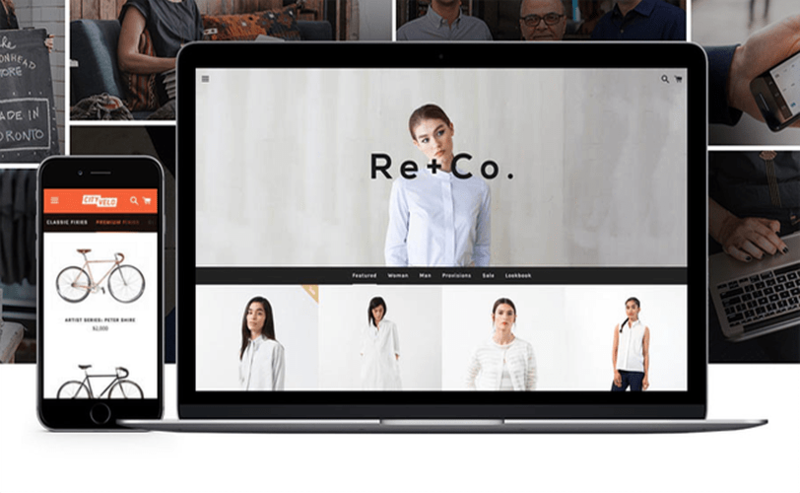 The best alternative to WordPress + WooCommerce is Shopify. Shopify is a simple piece of software that will create your online store for you. It’s designed specifically for ecommerce. They also use templates (See 100s of Shopify templates here) to help you design the site, so there’s no tricky code to deal with. Just like WooCommerce, Shopify’s back-end wizardry does all the hard work for you. The only real downside with Shopify is the cost. There’s a monthly fee (starting from $29 /mo) depends on the Shopify plan you choose. If you’ve got big plans, don’t let that put you off. Shopify is perfect if you’ve got a product with high profit margin. After all, you get unmatched conveniences for the price. You can see how we’ve created a Shopify online store in just 19 minutes. That is how straightforward the process is. The bottom line here is that you need your own space. You need an identity, a voice, and a tribe of loyal followers. You can’t do that piggy-backing on Etsy, eBay, Facebook etc. That means building your own empire using WordPress + WooCommerce or Shopify. Trust us, this is easier than you think. PART 2 shows how to set up a WordPress + WooCommerce online shop. We have put up a detailed guide on how to create a Shopify store (in 19 minutes!). Do check that out. Web hosting is the patch of internet land your website will live on. Web hosting companies are like internet landlords. They rent out a portion of the web to you, and that’s where you’ll build your site. But here’s the thing. There are good hosting companies, and there are bad ones. So, don’t just choose the cheapest option. The speed and security of your site is vital, and your online shop deserves the best. The best web hosts are fast as hell, close to your target audience, and secure from hackers. SiteGround is a brilliant premium choice. If you’ve got big plans with lots of global traffic, we highly recommend them. They’re fast, secure, and great with customer service. As a matter of fact, this website Bitcatcha.com hosts on them. Inmotion Hosting is perfect if you focus on US audiences. Their Max Speed Zone™ is designed to serve your website very quickly in the States. Paired with a free Cloudflare account, your website will be flying fast around the globe. This is your ‘domain name’. It’s the address that points to your website. You’re looking for something simple, unique, and straight to the point. Choose this very carefully. Hopefully, you’ve already got a business name all picked out and ready to go. Once you have gotten your web hosting & domain name ready, log in to the control panel to install WordPress. The 1-click installation in both iPage & Inmotion Hosting will get it done in no time. Then, log in to your WordPress site, head to Plugins and search for WooCommerce. Download and install. Voilà. Your online shop is functioning now. It sounds complicated but it is not. To help you we have made a series of video guide in walking you through this process step by step. In these 5 videos we show you exactly how we set up a WooCommerce online shop for a friend. Now that you’ve got your online shop ready, it’s time to decorate it! As I said before, WordPress is super easy to decorate and make your own. You can choose from hundreds of preset designs for free, or you can splash out on a premium theme. We like Elegant Themes who offer affordable, unique, and beautiful themes. Simplicity is everythingChoose a simple design that highlights your products and is easy to navigate. Logo and brandingLook for a theme or design that allows you to create a unique identity. Big, high-res photosPhotos sell products. It’s that simple. Choose a site that shows your images at their very best. Of course, no online store is complete without the payment mechanism. The most familiar service online is PayPal and you can easily slot their payment gateway into your checkout process. Sometimes customers prefer a simple credit card payment. You can handle this with Braintree. They power the payments system at AirBnB and Uber so you’ll be in good hands. Now you’re all set up and ready to open the doors! Now you just need to find some customers. The first sale is always the trickiest. After that, it’s a snowball effect! We’ll leave you with one expert tip guaranteed to help you make that first sale. The internet is bursting with powerful blogs, YouTube channels, and social media influencers. These people have the power to get your product in front of a lot of people. Start by making a list of blogs and influencers in your niche. They are always on the lookout for cool products and stories to share with their communities, so reach out and ask for a review or sponsored post. These influencers receive hundreds of emails and pitches every day, so how do you stand out? Be personalCraft a unique and personal message for each blogger. Mention something you saw and liked on their blog, and tell them why you think your product would be interesting to their audience. Address them by nameIt’s easy to find the names of most bloggers. Prove to them you’ve taken the time to look at their site. Create a compelling storyWriters and bloggers are looking for more than just a cool product. They want a story that connects with their readers. What makes your product unique? What’s the emotional connection? Why do people need to hear about you and your product? But, keep it to the pointThey don’t need to know your life story. Just give them what they need to intrigue them and show off your product. Bloggers are looking for short, sharp leads. Follow upJust once, about a week later. Keep it polite, and if you don’t hear back, don’t take it personally. Just try another one! SponsorshipThere are lots of blogs and social media accounts that will accept payment to share your product or create content around it. It’s a small price to pay for lots of eyes on your product. Sticking to one working method is all you need to make your store a success but if you are craving for more, read our marketing blogposts to get inspired! There are lots of ways to sell online, but nothing beats building your own website on WordPress or Shopify. For WordPress, decide on a hosting company & setup WordPress + WooCommerce. For Shopify, just get started here. Choose a clean and unique design. Reach out to influential blogs to secure reviews and coverage. The hardest part is taking the first leap. Don’t feel daunted by the process, embrace it and learn as you go. Trust in yourself and your product! If you need extra help, I’m just an email away. If you choose WordPress, you can watch how I set up the WooCommerce for Bon Bon Boutique. Follow your passions, start a successful business, and ditch the day job! It really can happen, just read our interview with Kalen (Bon Bon Boutique’s Owner), making $1000 in her spare time!